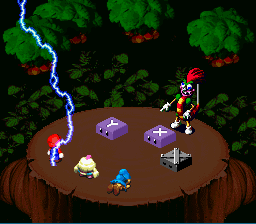 The Bolt is a magic attack used by many enemies and bosses in Super Mario RPG: Legend of the Seven Stars. The attack consists of a single bolt of blue lightning that strikes a single character. It can only be countered by using a Safety Ring.